This guitar was owned by Marc Damon, who commissioned this guitar from AJL. 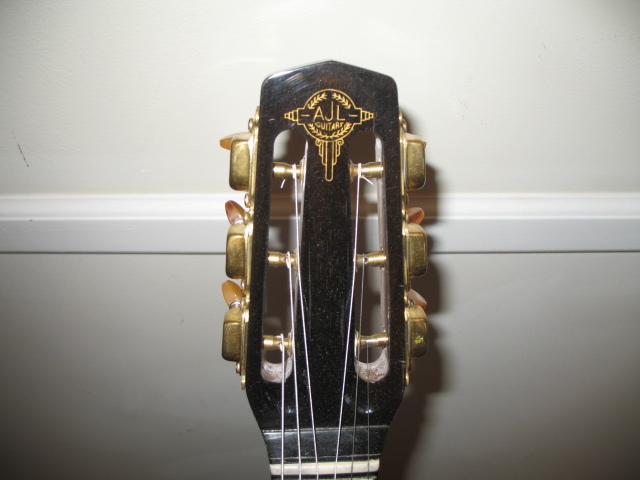 In fact, the guitar I'm selling is the one on the cover of Marc's book, Mastering Gypsy Jazz Guitar Improvisation (http://tinyurl.com/3wb94u). For those of you who met me at Django-in-June, yes, this is the guitar I was playing. Serial number 053 (No, that's not a typo.) 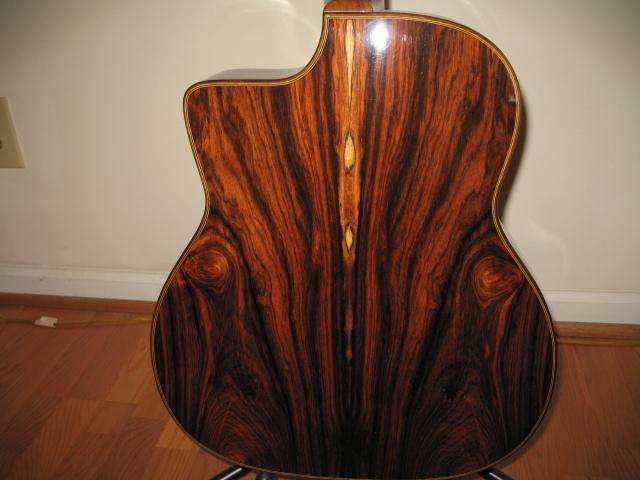 Spruce top with aged lacquer, Brazilian rosewood back and sides (laminated). No scratches or major dings. This instrument is very similar to Denis Chang's "Mich Mich," which he had for sale in August. In fact, we briefly swapped AJLs at one of the D-I-J workshops. I like the neck on mine better. Mine has a less "clubby" feel, but the difference is subtle. Adjustable truss rod in neck, wrench included. It has a B-Band Dual Under-Saddle piezo/Condenser pickup combo that requires a 9V battery which is velcro'd under the top. Tusq saddle insert; old rosewood inserts will be included. 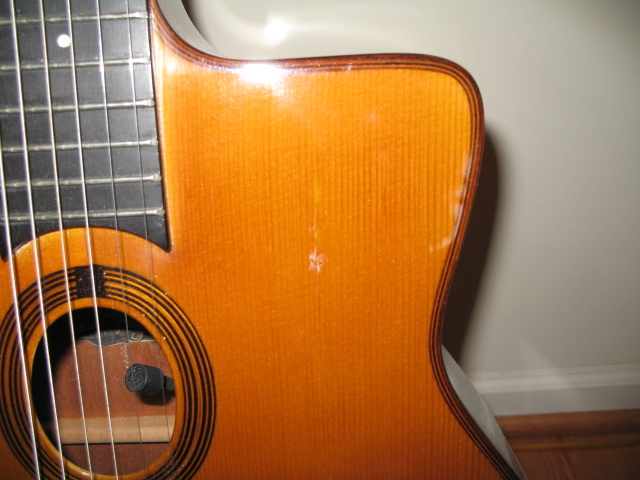 Negatives: The frets could use a dressing, Marc had AJL repair a low-humidity crack on the upper bout (see pictures). The repair is not the neatest, IMHO. 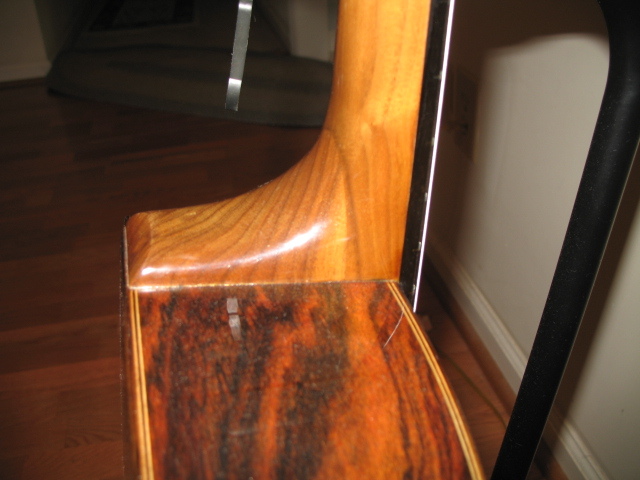 I repaired a few inches of cracked binding on the lower bout from where Mr. UPS Goon dropped the guitar upon delivery. Last November, I cleated the area near the old crack, as it was also starting to crack (finish only). 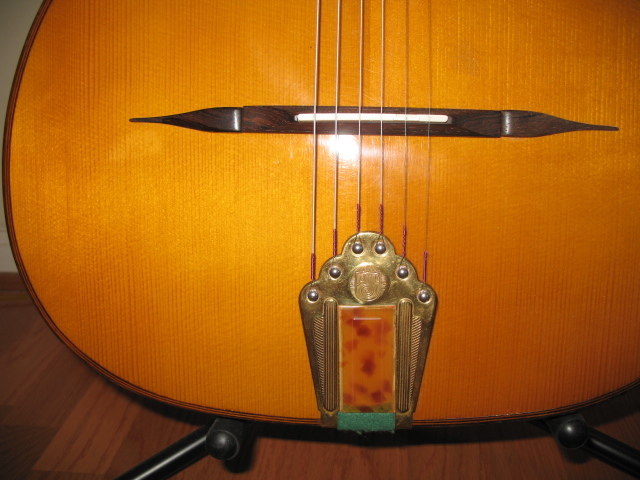 There is a little bit of pick wear on the top near the treble strings, which is common, but the finish is intact. 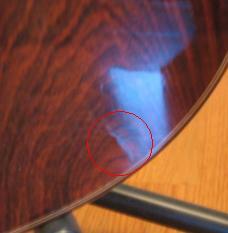 Also, there is a spot on the lower back where the rosewood seems to be ever so slightly delaminated. I've included a detail of the spot, circled in red. 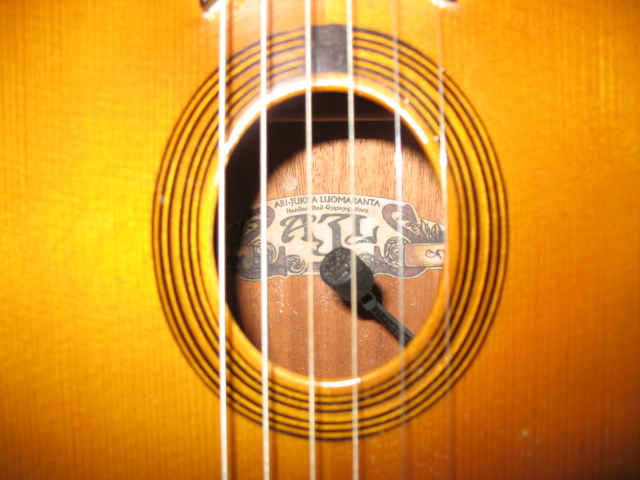 The guitar comes with AJL's great custom-fitted fiberglass case that impresses as much as the guitar. I'll even throw in a few sets of Argentines (strings, that is) and a Wegen pick. "Who could ask for anything more?" Got questions? Ask away; but please, only serious inquiries and offers. These guitars sell new for around $5000 USD, but I am letting this one go for a LOT less. 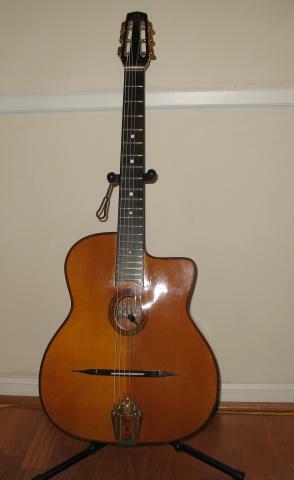 I really want someone on this forum to own this guitar, as opposed to selling it on Ebay.